I've been dabbling a bit with embroidery and find it quite relaxing! It is also a perfect way to use up those small scraps of fabrics. 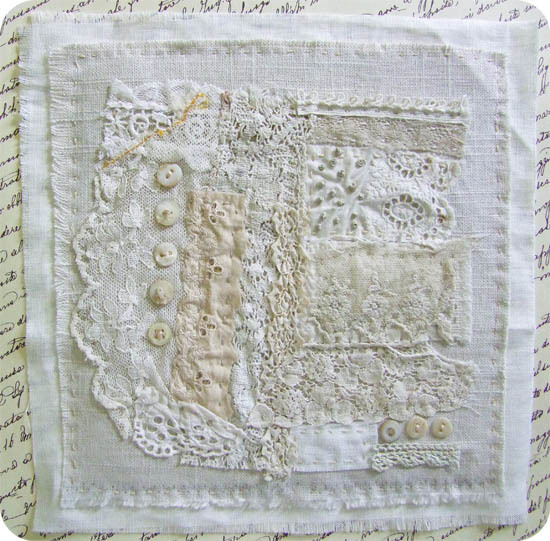 This piece features vintage laces and buttons stitched to two pieces of linen fabric.